Valentine’s Day is approaching again. 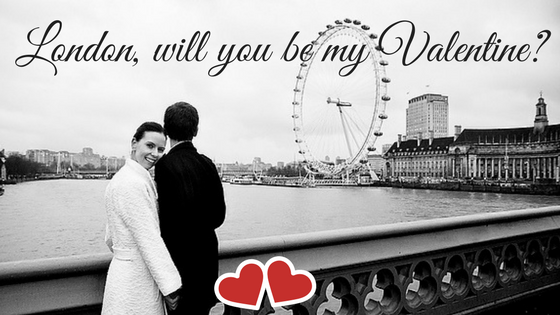 We know the question you’re asking yourself: Is London a romantic place in mid-February? Really? Well, with its reputation for variety and capacity to be endlessly fascinating and fun, the answer is a resounding Yes. There’s so much more to this city than romantic restaurants, so we’ve handpicked some well-known and less well-known places to make your Valentine’s Day unforgettable. The Barbican Conservatory is like stepping into a lost world. Hidden away in the huge arts complex of Barbican, it’s one of London’s secrets. Wander the walkways through a dense tropical greenery that always seems just on the edge of taking over, with glimpses of city buildings between the foliage. Dreamy, atmospheric, it’s a place to get happily lost in. Skip the high profile galleries this time because a visit to Sir John Soane’s Museum is a must for fans of culture. This museum is the collection of 19th century architect Sir John Soane. The building itself is the house he designed for himself, and is packed with art, sculpture and architecture treasures and curiosities, unchanged since his own day. It’s a beautiful, unique and fascinating collection. This being London, a good bar is not just about enjoying a good quality drink — it’s also about the incredible creativity and enthusiasm that goes into making it a unique and exciting experience. Try the cocktail lounge at Zetter Townhouse in Clerkenwell for an atmospheric evening — like lazing in an opulent Victorian living room, with fabulously inventive cocktails served from a counter that looks like a 19th century pharmacy. Or try Cahoots in Soho, a bar designed as a post-war 1940s underground station and decorated with perfect retro detail, as well as featuring live acts playing jazz, swing and lindy-hop. Borough Market is rightly famous as a heaven for foodies. With delicacies and specialities from British and international producers, there’s something to tempt everyone. Whether you’re searching for a gourmet bite to eat, enjoying the sights and the bustle, or looking for culinary inspiration, Borough Market is always a feast for the senses.